Einstein is easily regarded as one of the most intelligent scientists of our time. Funnily enough, most of us wouldn’t be able to succinctly say why he was deemed so intelligent – especially after history has showcased dozens of intelligent men who could cream Einstein at a chess match. Interestingly, a lot of them are from medieval times. Here are ten of them . 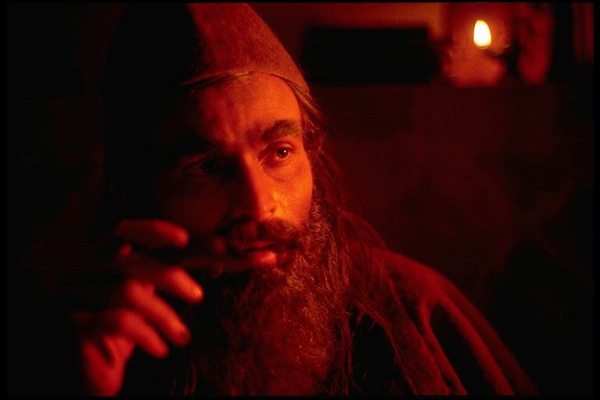 . .
Avicenna, or Abū ʿAlī al-Ḥusayn ibn ʿAbd Allāh ibn Sīnā, was a Muslim scholar who revolutionized the field of medicine during Islam’s Golden Age in the 11th century. Of the some 200 academic texts he wrote, by far his most influential was The Canon of Medicine. This was basically a comprehensive encyclopedia on the field of medicine with many annotations that were ahead of their time. For example, Avicenna proposed a completely new set of protocols to test new medicines that included modern measures such as testing different strains and testing a large sample size. It also included never before translated Greek ideas in medicine, such as the idea that disease spread through the air. His book was so valued, every major medical college used it as their standard textbook until the mid-1700s. 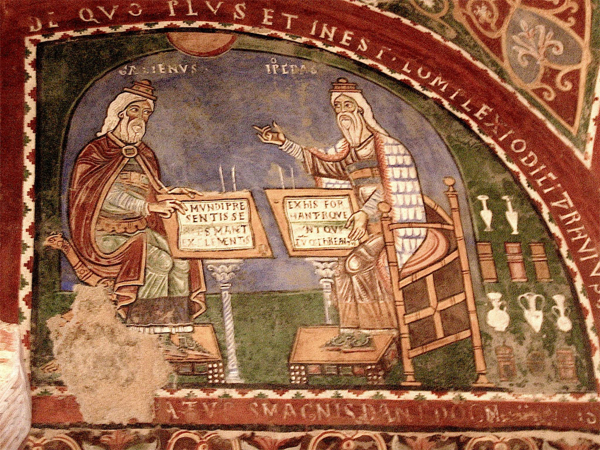 Paul of Aegina was a traveling Byzantine physician from the 7th century who wrote a massive encyclopedia called Medical Compendium in Seven Books . Paul wasn’t actually very well known by Europeans; however he was very well praised by Arab physicians. So whatever we know about him, we know from them, and it isn’t much. We do know he had some sort of procedure in place for c-sections and that midwives consulted him frequently. His works inspired and influenced many of the top physicians in the arab world. 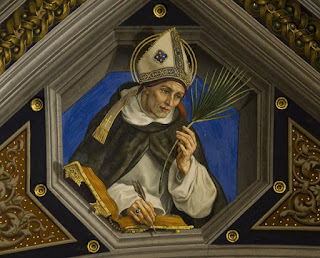 St. Albertus Magnus was a Catholic saint who was also an academic in multiple fields including philosophy, chemistry, zoology, and physiology. Magnus is mostly known for preserving the ideas of Aristotle, which he commented on frequently. His entire works were compiled into a massive thirty-eight volume encyclopedia. Magnus also provided insight and commentary into the fields of psychology, where he debated whether the body was rooted in the soul and how essential the intellect is in humans. His teachings became extremely popular amongst other scholars in the time period as well as with scholars who came later in the Renaissance. 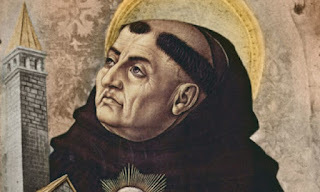 His ideas would survive in the form of his student, St. Thomas Aquinas, but more on him later. Al Khwarizmi is known for single-handedly inventing algebra, which he named after al-jabr , one of the operations he used to solve quadratic equations. The word algorithm actually comes from the latin translation of his name, Al-Gorithmi . From that sentence alone you can probably deduce that he was big fan of mathematics. His book on mathematics— Al-Kitāb al-mukhtaṣar —contains procedures on how to calculate numbers in areas from law to businesses making it one of the earliest forms of a textbook with practical applications. It contains the first known directions on solving polynomial equations as well as balancing both sides of an equation. His works are responsible for introducing Arabic numerals into the European world as well as the first trigonometric functions of sine and cosine. One other non-math thing he established, was the location of the Prime- Meridian, which he did using geometry. 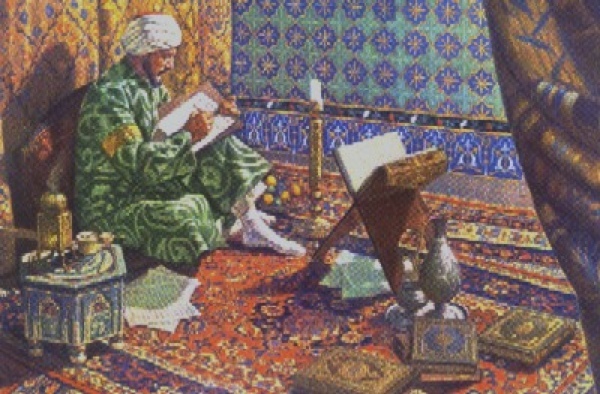 Averroes or Ibn Rushd was a 12th century Spanish academic who specialized in everything from law to music theory. He specialized especially in philosophy and is known in western academic circles as “the father of secular theory in the western Europe.” In his time he provided insightful commentary on Plato’s Republic as well as translating many of Aristotle’s works into Arabic. 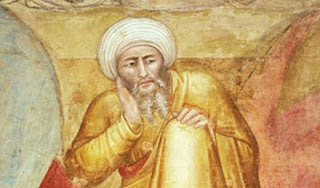 Averroes became popular amongst Christian academics when he wrote a highly criticized refutation (actually called The Refutation of the Refutation ) to Ghazali’s (who we’ll talk about later) The Refutation of Philosophy . Ghazali was arguing that Aristotelian philosophy was fundamentally flawed and didn’t fit in with Islamic theology. Averroes argued that Ghazali was incorrect and that he was misinterpreting Aristotle. In addition, he wrote a commentary on Avicenna’s Canon of Medicine and wrote his own follow up encyclopedia on medicine as well as another text on physics and one on psychology. He was so popular with western scholars that Thomas Aquinas would call him simply “The Commentator” as Aristotle was simply “the Philosopher”. 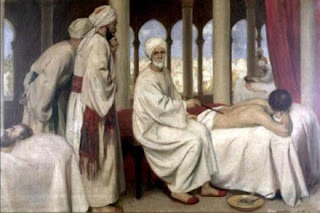 Al Zahrawi, sometimes known as Abulcasis, was a Moorish Andalusian known today for founding and designing the techniques for the first ever surgeries, as well as creating some of the first surgical tools. 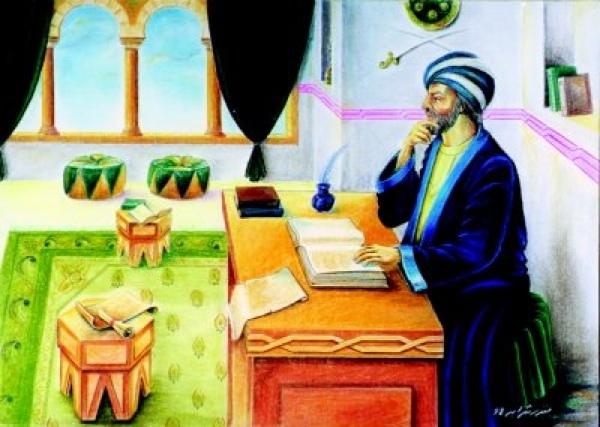 His greatest contribution is Kitab al Tasrif , a thirty-eight volume guide that explained in detail the various techniques he used in medicine. His other major work was Liber Servitoris , a Latin work in which he details how to create medicine using distillation and sublimation. In addition, he is the first to record how to ligate a blood vessel for pain relief, 600 years before the next Western scholar claimed credit. His also gave the first description of an ectopic pregnancy and taught methods for dealing with a dislocated shoulder that are still taught today. Parcelsus was a 14th century European chemist who made great advances in the periodic table of elements as well as in botany and medicine. 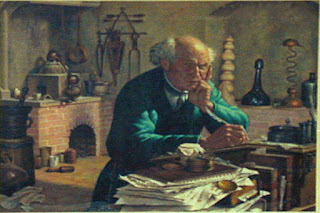 His name is actually an extension of the name of the Roman chemist Celsus, Parcelsus meaning “greater than Celsus.” He is sometimes referred to as the father of toxicology because of his assertions (which would later be proven as fact and make up the basics of the field) that poison was safe in short doses, and anything in large doses was harmful. In addition, he was the first to propose the concept of the unconscious. He was the first to use chemicals in medicine instead of herbs. In the process he gave zinc its name after the distinct crystals it formed. Al-Ghazali, or Algazel to other medieval theologians, was an 11th century Muslim philosopher, jurist, and theologian. 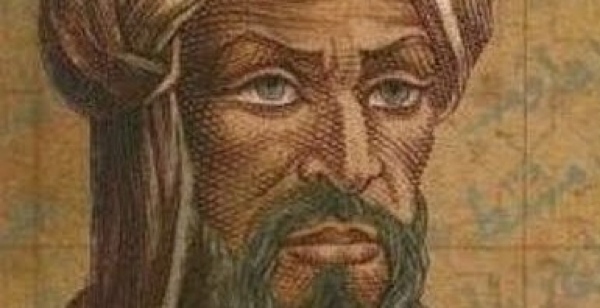 He is considered by other Muslims as the single greatest Muslim after Muhammad. Ghazali’s contribution that launched him to fame in the academic world was the previously mentioned Refutation of Philosophy in which he argued against the views of Aristotle as translated by Avicenna for being self-contradictory. His criticism started a new age in Islamic Philosophy where Muslim philosophers began to criticize the works of Greek scholars. Ghazali’s surviving works number somewhere in the 400s and covers a range of topics. He had an everlasting effect on both the Muslim and Western academic communities. St. Thomas Aquinas was a student of St. Albertus Magnus and an influential theologian and philosopher. As mentioned earlier, he too has great respect for Aristotle but looked down upon other philosophers whom he saw as not fully able to grasp the concept of God. As such, he never identified himself as being a philosopher. He wrote about the four cardinal virtues and published the Summa Theologica which was a comprehensive five-volume encyclopedia of his theological ideas. Thomas Aquinas viewed theology as a science just as medicine is a science, and treated it accordingly. In addition to this he wrote volume after volume of commentaries on Aristotle’s works as well as commentaries on the Gospels. He was one of the most prolific and highly regarded minds in the Middle Ages. His work still forms the foundation of Catholic seminary studies. very interesting and insightful post. Thanks.